Over the last year or so you’ve probably heard the term blockchain, but what is it and what could it do for the arable sector? Cedric Porter investigates. The concept of blockchain is new to many, but it is actually celebrating its 10th birthday this year. Its origins are surrounded in mystery and are tied to the infamous virtual currency Bitcoin. Bitcoin needed a system which could track transactions and show who held the currency, so its mythical founder, Satoshi Nakamoto, went about developing such a system. Nakamoto is mythical because no-one seems to know if he exists or not. There are claims he is a 43-year-old Japanese computer programmer, but it could quite possibly be that Nakamoto is the name a group of computer developers adopted to shroud themselves in anonymity and increase the allure of the online currency. Whoever Nakamoto is, he/she/they came up with a system which builds a chain of unique data-filled blocks of information which cannot be altered, calling it Blockchain. The system allowed a true record of those who bought, sold and owned individual Bitcoins to be kept. For many years blockchain remained the domain of those using Bitcoin, a world few understood and some feared. But in the last couple of years manufacturing companies have taken a look at the technology to see how it can be used to monitor and improve their supply chains. The food industry, in particular, has had a close look. It makes sense. Raw ingredients, such as grains, can travel on a long and complex journey, sometimes around the world, before they end up processed, distributed, sold and finally eaten or drunk. One global company which is embracing the concept of blockchain is computer-giant IBM. It is working in a number of sectors and has established an IBM Food Trust unit with some of the largest food companies, including Nestle, Unilever and Tyson Foods as members, along with retailers Kroger and Walmart. Those companies are using an IBM cloud-based software system to upload information at each link of the food production, processing, logistic and retail chain. All the data uploaded is encrypted so it cannot be altered once it is on the system, but it is in a form which can be accessed by authorised users along the chain and is compatible with other information and data on the system. Frank Viannas, Walmart vice-president of Food Safety, says: “Customers expect their food to be safe and if there is a problem it is vital we identify it as quickly as possible and deal with it. “Being able to pinpoint a problem quickly allows affected food to be removed rapidly, helping ensure customer safety. 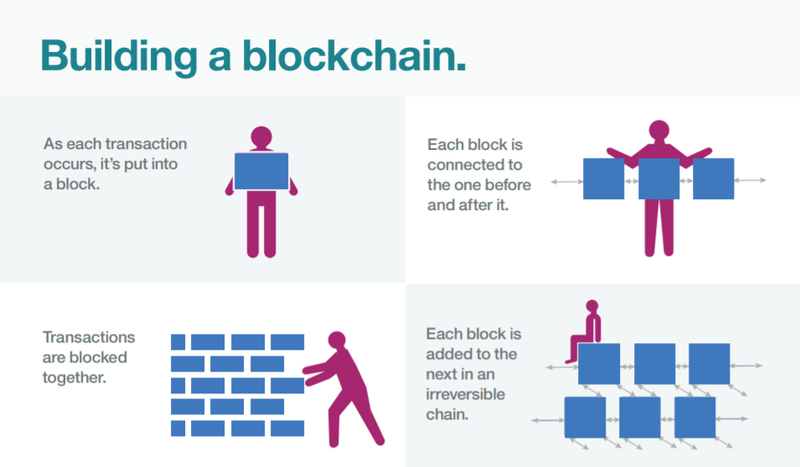 This is the potential of blockchain. The IBM Food Trust system now has more than one million food items logged, with numbers growing exponentially. The potential is enormous, according to IBM, particularly as food fraud alone costs the global food industry up to US$15 billion a year and a serious food safety recall can cost individual companies millions or even finish them off. Prof Chris Elliott, a food fraud expert at Queens University Belfast, believes blockchains could play an important role in improving food safety and protecting legitimate producers and suppliers against fraud. “I’m a great fan of using ‘big data analytics’ and IT solutions, such as blockchain, to improve the integrity of the global food system. The potential of blockchain is not just in improving traceability, but also in proving the provenance of a product – vegan and organic companies are looking at the technology to prove their products are only plant-based or free from artificial chemicals. Meanwhile, the data collected in a blockchain can be used to monitor and improve productivity and precision agriculture providers are looking at blockchain systems. There is also a marketing element to blockchain, with more companies using blockchain tech with scannable codes on products which can trace ingredients back to the farm. 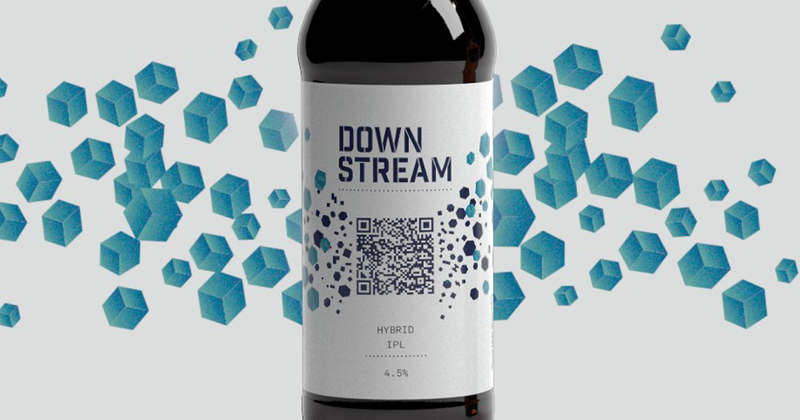 An example of this is Downstream Beer, which claims to be the world’s first blockchain beer. It is the result of a collaboration between Northern Ireland brewers Mourne Mountain, beer distributors Ireland Craft Beers and blockchain systems company arc-net, which has offices in Belfast and San Francisco. Arc-net has developed its own cloud-based supply chain data system especially for the food and drink industry. It is in a collaboration with financial management company PwC Netherlands to extend and develop its blockchain system and is working with new distiller Ardnamurchan to authenticate its up-market whisky Adelphi. UK farmers have been used to traceability systems, such as Red Tractor, for more than two decades, but does blockchain pose a threat or an opportunity to assurance schemes? Red Tractor says: “The foundations of the Red Tractor scheme are traceability and assurance, providing a guarantee a product has been produced to certain standards which are maintained throughout the supply chain. As an assurance body we are always interested in how technology can provide a benefit to this. “There is a lot of new technology emerging, including Distributed Ledger Technology – of which blockchain is an example, that we are sure will provide a positive contribution to Red Tractor in future. However, we are not in a position to comment on what that will be or what it will look like. When I started this article I had a vague idea what blockchain was, but its true meaning and potential seemed to be masked by mystery and marketing hype. But at its essence, the concept is simple; providing a foolproof way of storing data, potentially about food ingredients and products. Used in a constructive way, this information can be used not only to improve safety, but deliver efficiencies and improve productivity, so expect blockchain technology to be coming to your farm sometime soon. Soil Association Certification teamed up with start-up tech firm Provenance to pilot blockchain technology which tracked the journey of organic food from farm to shop shelf. A cargo of US soybeans shipped to China became the first fully-fledged agricultural trade conducted using blockchain. Louis Dreyfus Co, Shandong Bohi Industry Co, ING, Societe Generale and ABN Amro took part in the trade where the sales contract, letter of credit and certificates were digitised on the Easy Trading Connect platform. 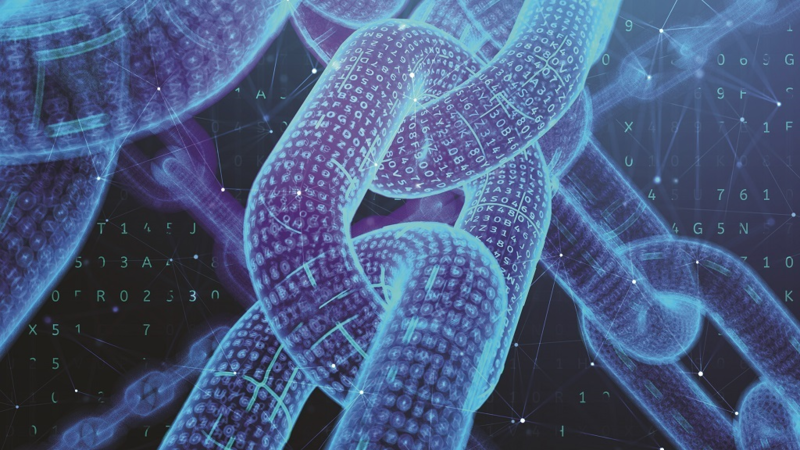 BASF and blockchain systems business arc-net announced it was collaborating to use blockchain technology to support the animal production value chain in meeting pressure to reduce emissions. In the future, this project will enable consumers to make informed choices about the meat they eat via an on-pack unique scannable code, providing information on the product’s provenance and environmental footprint, say the two businesses. In the same month, Australian agricultural supply chain blockchain platform BlockGrain (www.blockgrain.io) announced it was launching a token sale, a process for generating and selling a new cryptocurrency, on the Ethereum blockchain. The sale followed a successful trial of a beta version of the BlockGrain platform designed and tested over the course of the last two years by 20 grain farmers and six commodities brokers looking to manage and control their stock more efficiently. Previous Article On a roll: How do you choose when buying a cultivator?